Ring News 24Boxing News Breaking Boxing NewsWhat Does the Future Hold For Vasyl Lomachenko? What Does the Future Hold For Vasyl Lomachenko? Over this past weekend, WBA lightweight champion Vasyl Lomachenko added the WBO lightweight title to his collection with a unanimous decision victory over former champion Jose Pedraza. The fight took place on ESPN, from the Hulu Theater in Madison Square Garden, with 5,312 people in attendance, and was much more competitive than many expected. Lomachenko (12-1, 9 KO’s) put forth a workmanlike performance for the most part, but wasn’t able to really dominate many of the early or middle rounds. Much of that credit should be given to Pedraza (25-2, 12 KO’s), who used his length and reach to box very well at times. In the 11th round it when we saw Lomachenko really break through, as he scored a pair of knockdowns after bludgeoning his Puerto Rican opponent with hard and powerful shots. Pedraza was able to finish the round, and the fight, but lost by wide scores of 119-107 and 117-109 twice that went in Lomachenko’s favor. Usually when a fighter unifies a portion of their division, it’s time to celebrate, but perhaps there should be some concern from those who support Lomachenko. The 30-year old champion fought very well, but appeared to lack the tools and gifts that usually set him apart in contests such as these. Whether it was due to Pedraza’s effort, the fact that Vasyl was returning from a seventh-month layoff following surgery on his shoulder, remains to be seen. There is also the possibility that all of Lomachenko’s years in the sport, including several hundred amateur contests, are putting some wear and tear on him. After the match you could see Lomachenko’s face was a bit bruised up. It was a stark comparison to how another elite champion, WBA junior lightweight titlists Gervonta Davis, handled his business with Pedraza. Davis tore through Pedraza in seven rounds and put a severe beating on him while rarely having to worry about any problems in the fight. Still, Lomachenko has reason to celebrate and his career moves forward. Pedraza gave his view of the contest and was proud of himself. But what does the future hold for Lomachenko? He is clearly one of the top fighters in the sport, but the only problem now appears to be finding him a marquee opponent. The name that stands out of course is WBC lightweight champion Mikey Garcia, as fans have pondered that potential classic for a while now. But Garcia is slated for a March 16 date vs. IBF welterweight champion Errol Spence Jr. In Arlington, Texas, on FOX pay per view, a match that he is a big underdog heading into. Lomachenko says he will gladly wait for Garcia, but will some of the luster of the fight be lost if Mikey gets dominated by Spence? A fight with Davis makes sense, but Gervonta looks to be facing off with former champion Abner Mares next month and who knows if that fight is feasible at the moment. 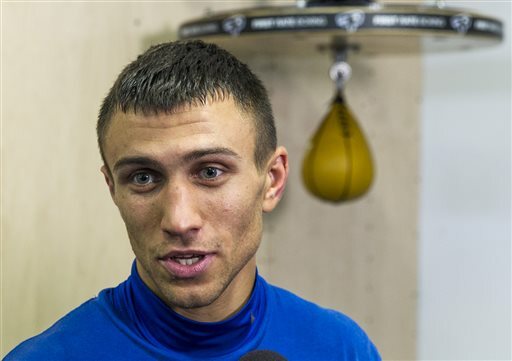 We just have to wait and see what options arise for Lomachenko.